Spurred by new advances in the scientific understanding of how fire flows through structures, the National Fallen Firefighters Foundation identified the need to better train company officers in how to make critical fire attack and suppression decisions. The NFFF tapped Stonehouse Media to create an interactive 3D fire attack and suppression decision making scenario experience grounded in the new science of fire to teach how to properly recognize and respond to conditions and situations at the fire scene that have led to line-of-duty deaths in the past. 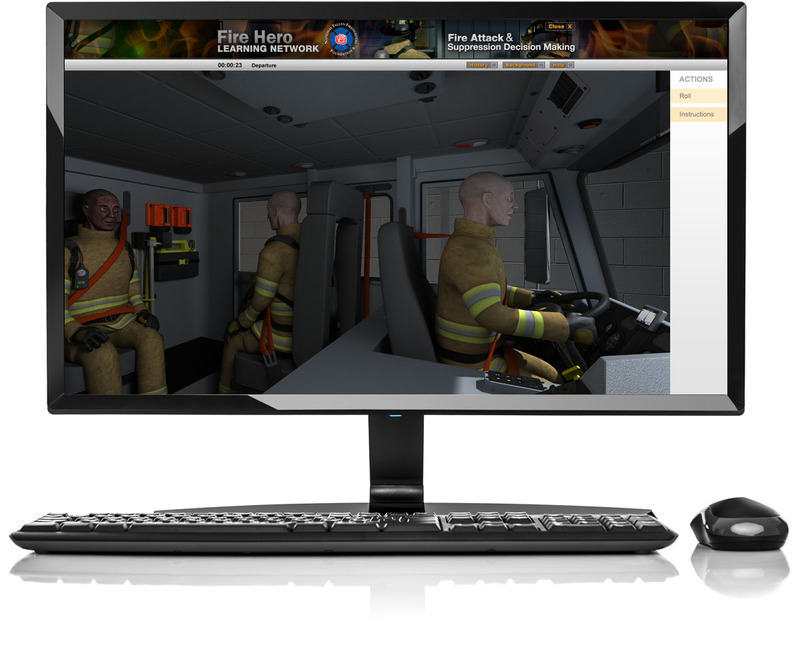 Delivered online, this experience teaches core safety practices and challenges fire officers to decide how to attack a residential fire, offering multiple options for entry points and actions, and showing them the results of their decisions with 3D animation and realistic audio. The program tracks key decisions made by the fire officer and provides customized feedback based on those decisions, linking it to teaching points about the science of the fire flow in the scenario. To date, more than 2000 members of the fire service have tried the scenario, challenged their understanding of fire, and increased their knowledge on fire attack and suppression.